I’m constantly longing for the old me. Good post. Thanks Mamie! I tried one of those 30 day straightening treatments this weekend! It felt gross the first two days but so far so good! Still straight! Haven’t had to touch my flat iron! I think everyone experiences this to some extent, whether they’ve had big loss (like a chronic illness) or just a small loss (like they aren’t 18 anymore). I think it is smart to focus on the future and all the opportunities that lie before us instead of focusing on what we don’t have any more. Smart, but hard. Good for you for letting go of the past! I bet it makes your future even better. Thanks Jennifer! When you are told more times than you’d like, “I’m sorry there is nothing we can do. You can only expect it to get worse,” its hard to even remain hopeful for the future! But I am determined not to let illness take my hope away too! I LOVEE LOVVVEEEE LOOOOVVEEE this!!!!! Love the picture too… you dont know how much this encouraged me today! I am so glad that you were able to be encouraged!!! That alone makes it worth it! Oh, I love how you did your pics- very creative! An d I hope that this is an attitude that you keep! Thanks Shell! Ever since I wrote this post I have been challenged to maintain this attitude! 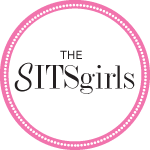 It has been a hard week illness-wise so having the encouragement of the SITS gals has helped so much! Beautiful post! Wishing you the best of luck in focusing on tomorrow and not thinking of yesterday anymore! Oh, Jamee, I can so relate! My issues are different than yours but still that longing for what was before is still there. And that is part of what I had to let go as well. I am sorry for the struggles you have had to go through but you have gone so far! Losing 35 pounds! I’d give my right thigh AND my left thigh to lose 35 pounds, (wait, that WOULD be 35 pounds or more!) And now you have your daughter, that is awesome. And so what if you won’t have things the way you thought they should be, you wouldn’t have turned into the person you have become who is caring and empathetic, and you wouldn’t have your daughter! Thank you so much Bernice! I am thankful for the blessings I have been given, even in the midst of pain! I love this post, such a powerful thought… it’s got me thinking. Thank you. Well on your way to embracing the new you…now I need to take your advice! you are an amazing, inspirational and beautiful woman. Thank you for sharing your story! I have dedicated my entire website to inspiring others to Let go, and Trust Life. I interview people and publish their stories on my website to encourage and inspire others. I would be honored to share your story with my readers. I believe the more we share our true selves with others, we more goodness we spread. Please feel free to contact me if you’re interested. Leslie, I would love to share my story! You can shoot me an email at anewkindofnormal (at) gmail.com and let me know what details you need! What a wonderful contribution to the SITS Letting Go project! I still mourn the old pre-cancer me, too. I have to keep reminding myself that I’m missing out on what I do have when I mourn what I used to have. I’m a little late, but due to travel, couldn’t read everyone’s Letting Go posts last week – this one is fantastic! And I love your pics 🙂 It’s interesting, how much we change as we get older – i’m grateful for all of the changes I’ve made in the past few years! Reaching the upper twenties has been an eye opener for me, as far as letting go of the old Stephanie and focusing on being fabulous and living in the present. Life is always a work in progress, so your new kind of normal is ever evolving too, ya know? I’m glad you’re embracing the new you because she sure seems fab! Love this post and your attitude! Even though I have been sick most of my life, I still hang on to “what could have been”. I interview people and publish their stories on my website to encourage and inspire others. Some days its hard to be joyful but its worth it. Life is always a work in progress, so your new kind of normal is ever evolving too, ya know?